Serving the area by providing the Bluetooth car kit and installation Atlanta drivers trust, our experts at Drops Mobile Electronics have experience in equipping any type of vehicle with today’s most innovative technology. Whether you need a custom installed Bluetooth system, a Bluetooth system integrated with a factory radio or you want to install an in-dash radio with built in Bluetooth, we have the skill and experience necessary to get the job done. Once fitted, our knowledgeable experts will explain all of the highlights of your new car kit, ensuring that you can get the most from your system’s features. Take efficiency and safety to the next level with a hands-free car kit. Designed to allow you to take cell phone calls without ever taking your eyes of the road, Bluetooth adaptors can be quickly and professionally installed by our experts at Drops Mobile Electronics. We can also install iPod car kits, making it easier than ever to take your media with you wherever you go. Whether you have your own car kit, or you would like assistance in choosing from one of the several kits we have available through Drops Mobile Electronics, our experts can ensure that your kit is installed correctly the first time. As a mobile company providing the Bluetooth installation Atlanta has looked to for 15 years, we provide outstanding customer service and support by meeting our customers when and where it is most convenient for them. 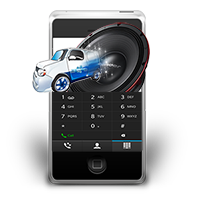 Drops Mobile Electronics has experience in installing Bluetooth car kits in every type of vehicle, including cars, RVs, boats and fleet vehicles. With a commitment to excellence, our experts at Drops Mobile Electronics are dedicated to providing outstanding service, every time.